The raid was carried out in Torreon, Coahuila, by a special unit from Mexico’s Attorney General’s Office (PGR) aimed at tackling election crimes. According to information provided to Breitbart Texas, the raid is part of an ongoing investigation into the actions of a local mayor and his staff for the alleged stockpiling of federal emergency relief supplies to use them as election day handouts. The supplies were given out by Mexico’s counterpart of FEMA, called FONDEN. The stockpiled items had been given out during the time when Miguel Angel Riquelme was the Mayor of Torreon. 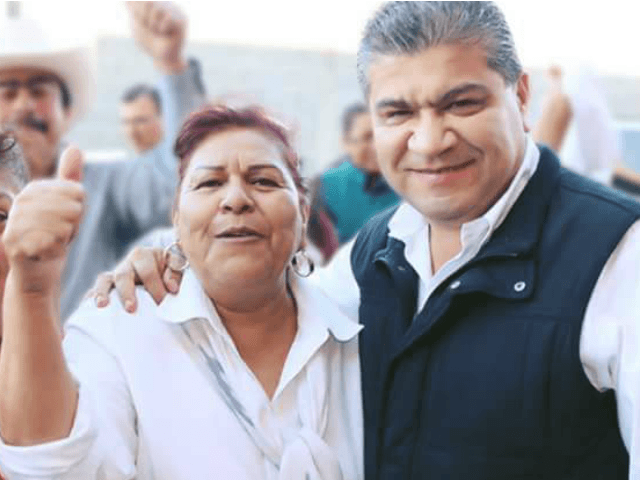 Currently, Riquelme is a candidate for the governorship of Coahuila through the Institutional Revolutionary Party. As Breitbart Texas reported in the past, Mexico’s PRI has been linked to multiple cases of giving out gifts in exchange for votes. Current Mexican President Enrique Peña Nieto was linked to operators from the Juarez Cartel for their role in funneling funds to his campaign. The monies were used to purchase cash cards in a scandal that became known as Monexgate. While authorities have not publicly said the name of the political party involved in the stockpiling, the raid delivers yet another blow to Mexico’s embattled PRI. That political party has been linked to multiple acts of corruption in recent years including multiple former governors who are on the run from both Mexican law enforcement and the U.S. Department of Justice. While not criminally charged in the U.S. or Mexico, Humberto Moreira, the former Coahuila governor and former leader of the PRI at the national level has been named in U.S. federal court testimonies and documents as having been a surrogate of Los Zetas and provided protection while in office. As Breitbart Texas recently reported, former Mexican President Felipe Calderon said that Moreira protected Los Zetas while he was governor of Coahuila. Moreira spent weeks in a Spanish jail on money laundering charges for his role as a Zeta employee; eventually, Moreira was released after the Mexican government placed political pressure on the Spanish court system. Humberto Moreira is the brother of current governor and PRI member Ruben Moreira. The former governor of Chihuahua and member of the PRI Cesar Duarte is currently a fugitive in his state after being charged with embezzlement and public corruption. As Breitbart Texas reported, Duarte is believed to be hiding in El Paso, Texas. The former governor of Veracruz and member of the PRI, Javier Duarte, is currently listed as a fugitive by Interpol and is wanted by Mexican federal authorities on embezzlement and organized crime charges. The former governors of Tamaulipas, Tomas Yarrington and Eugenio Hernandez, are currently listed as fugitives by the U.S. Department of Justice on money laundering charges in connection with cartel bribes and funneling political monies into Texas. Yarrington has also been charged with drug trafficking conspiracy.